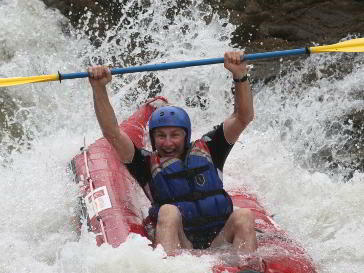 Welcome to Rafting Australia, Our whitewater paddling addiction started in 1976, yep that’s over 40 years ago! So how can such a passion last so long? Easy, Victorian whitewater rivers rival the best New Zealand, Cairns and Canada offer and to make it even better they are set in pristine wilderness the equal of Tasmania. Bet you didn’t know that! Don’t take our word for it, read our Trip advisor reviews! We offer river adventures from suburban Melbourne to the Snowy Mountains, for individuals, couples or mates and customised programs for groups, corporate experiences or outdoor education/school programs. 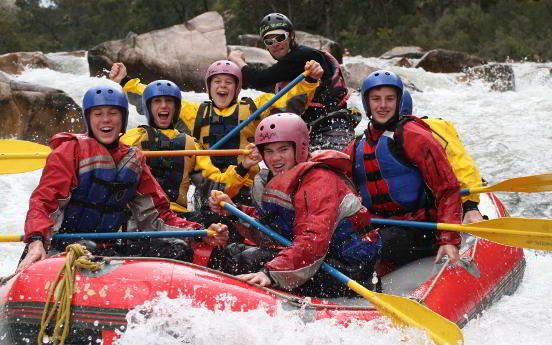 Australia’s only specialist white water rafting business offering you one of the best days you will ever have. Not only will you be challenged by our amazing rivers, your day will be filled with excitement, adrenalin, fun, laughter and friendship. Safety is taken very seriously and our record speaks for itself. 40 years, no ambulances, no helicopters, no evacuations, just 2 cuts to hands which required a few stitches! How do we do this? We employ local and international river professionals and the guy with 40 years experience is on every trip! Not all our trips are “white knuckle rated” we also offer mellower, relaxing river experiences closer to Melbourne on the Yarra, Big, Goulburn or King rivers. Welcome to Rafting Australia, Did you know Victorian whitewater rivers rival the best New Zealand, Cairns and Canada offer and to make it even better they are set in pristine wilderness the equal of Tasmania. Bet you didn’t know that! Don’t take our word for it, read our Trip advisor reviews! 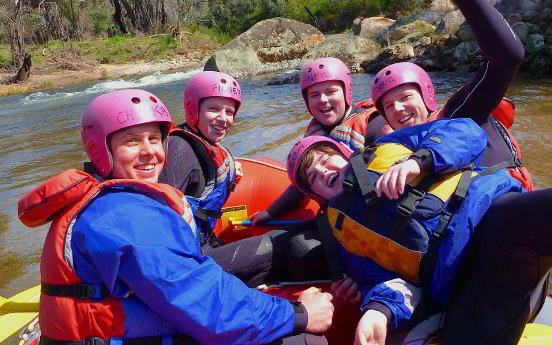 We offer white water rafting river adventures from suburban Melbourne to the Snowy Mountains, for individuals, couples or mates and customised programs for groups, corporate experiences or outdoor education/school programs. 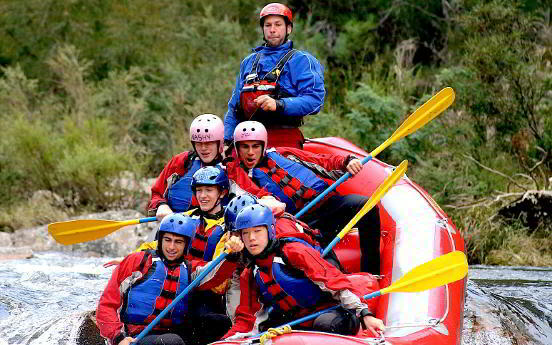 Victoria’s biggest secret is the adrenalin pumping, world class white-water rafting on the Mitta Gorge. More than 60 rapids classed from 2 to 4, including, Grave Yard, Dislocation, S bend, Waterfall and Gobbler. Experience towering granite river gorges and the exquisite wilderness of the majestic Alpine National Park during your 19km rapid descent. Terminator, Corkscrew, Roller Coaster, Sharks tooth and Zig Zag are just a few of the whitewater challenges waiting to put you to the test this summer. The Alpine steams near the town of Mitta Mitta provide 3 sections of whitewater heaven, book now to experience your first episode. Set in the majestic Kosciusko National Park the Upper Murray River begins its long journey to the ocean in South Australia. Close to the source of the river, the Murray is absolutely pristine and the views breathtaking. 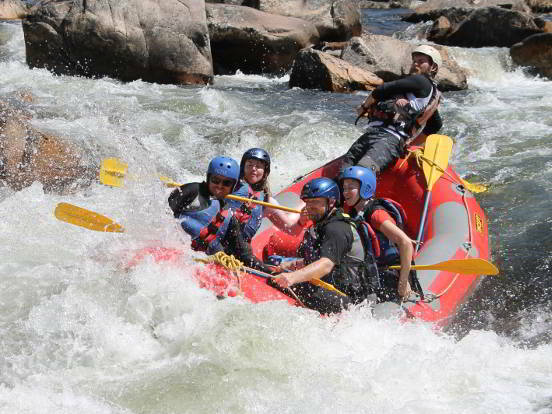 This is your opportunity to experience sports rafting on this magic wilderness river. Rafting Australia offers real wilderness adventures with hands-on experiences which deliver lessons and learnings with long term benefits, preparing students for real life and the challenges it presents. Life is full of obstacles just like a white water, river our role is to empower students to succeed when challenged! Rafting Australia and Brighton Grammar piloted what has now become a very successful Father Son bonding program based on the work of Dr Arne Rubenstein an Australian expert on rites of passage for adolescents. The program aims to give Fathers and Sons a “kick start” to develop their bond and develop a trusting Male community. Searching for an incredible corporate day near Melbourne, but not sure how to organize the trip for your group? Allow us to work with you and your, corporate or social group, to create a truly unforgettable whitewater experience! Special memories are created when a team of co-workers, or simply a group of good friends, share an experience together. Smiles and laughter are bountiful, new alliances are forged and old friendships strengthened. White water Rafting from Melbourne to Upper Murray. 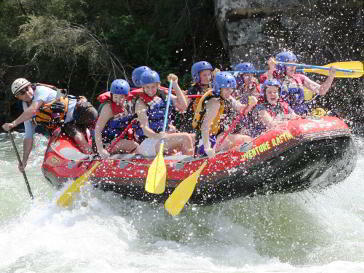 Rafting Australia can cater for a wide range of activities. Are you searching for a nature based pristine river experience, rapids, rock jumps, tranquil pools and lots of fun? Of course you are, that’s why you’re here and we can certainly help with that. Whitewater Rafting departing from Melbourne Victoria on the Mitta Mitta, Snowy Gorge and Upper Murray rivers. Personal growth from customised corporate adventures and team building or outdoor education programs, whilst kayaking or rafting on the Yarra, Goulburn, Big and Mitchell Rivers. We specialise in Father Son, Father Daughter programs which aim to “kick start” bonding whilst enjoying kid friendly and personally challenging river activities. Are you and your partner looking for a romantic Self-drive holiday including outdoor activities and the best of Victoria, visiting Lakes Entrance, Gippsland Lakes or Bright, NE Victoria, and the Great Alpine road? Bus transport options are available for groups of 12 or more and can be tailored with a corporate golf day or winery and micro-brewery tour en-route. 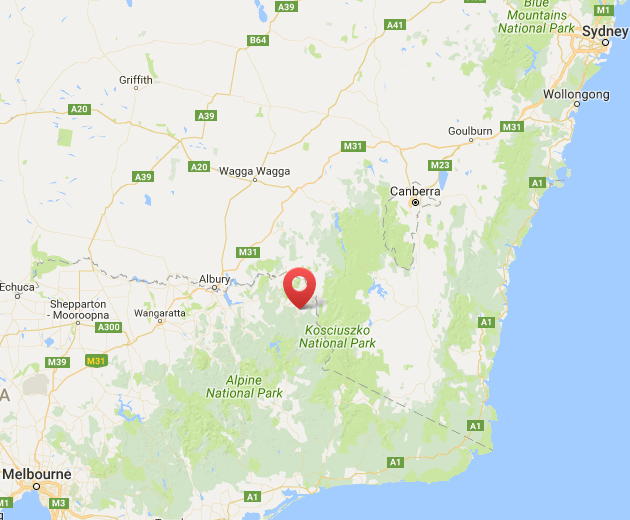 Adventurers from Sydney fly Virgin to Albury and travel via the Mitta Valley to our raft base in Omeo. If you’re searching for the perfect outdoor, water sports gift or family holiday simply purchase a gift voucher or book a date online and instantly receive your voucher or itinerary. Visit our five star rated Trip Advisor page and see testimonials from our satisfied adventure tourists, who have experienced the wonder of Victoria, truly a hidden gem. Maybe rev up a regional food and wine event like the Rutherglen winery walkabout or the Beechworth Octoberfest with adventure tourism or up size the Bright Spartan Race with a real action adventure. Whatever your special occasion, girls – boys day out, bucks – hens party or corporate experiences.